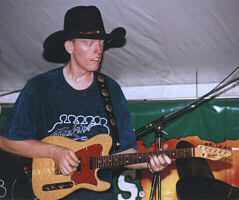 Guitarist and vocalist Chris Staff plays with the Col Finley band. Chris is a graduate of the CMAA Australian College of Country Music, and appears on the Voice of Independents Album (No. 1). He also plays on the Tracy Coster album Bush Baby.